Please ensure that cycles and scooters are walked within the school grounds and parked in the racks. Funzone has stopped swimming afterschool on Fridays. Alternative activities will be available. 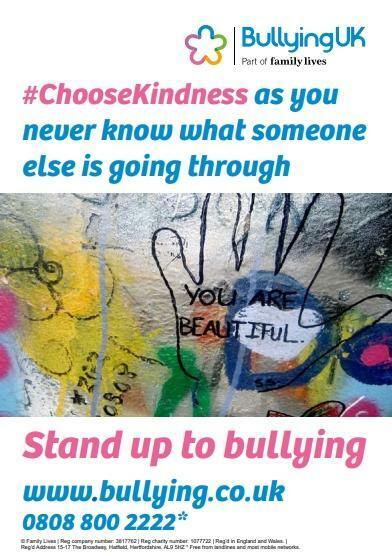 This is a special week at school celebrating Anti-bullying Week and Children in Need. Children will take part in lots of different activities over the week to develop their understanding about these important causes. There are some special things for you to get involved with- these are underlined below. Please send in any spare buttons that are to be used for art and craft projects. There will be a Bring and Buy sale which we would request good quality used toys (make sure adults have agreed to it being sold!). Items can be left at the school office during the week or on Friday morning. On Friday 16th children can bring 50p or £1 to school, which they bring to the office in a named envelope. This is to buy one or two items (max 2 items per child) at the toy sale in the hall that will take place during the school day. There is not a toy sale after school. 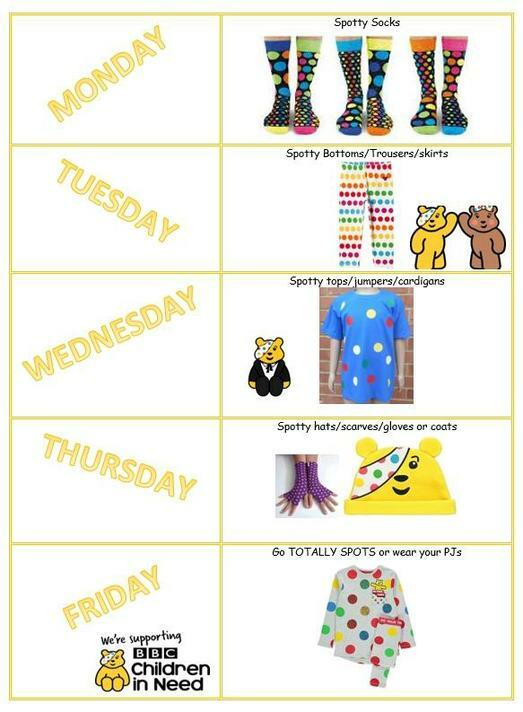 Bring and Buy Sale for Children in Need (during school day) children can bring 50p or £1 to school, which they bring to the office in a named envelope.